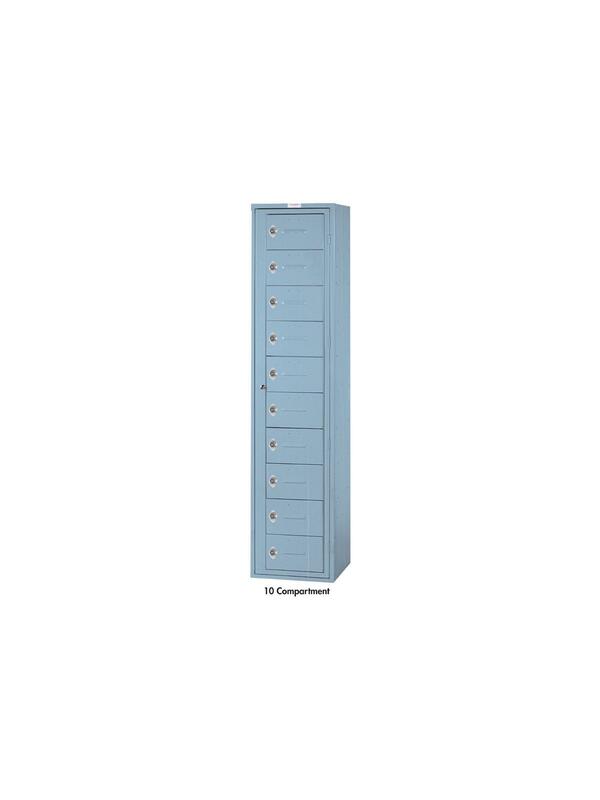 Folded Garment/Linen Lockers | Fredon Handling, Inc. Door frames are 16 gauge, doors are 22 gauge steel. Individual patron doors have a choice of three different locking systems. Service door has H-1 industry standard lock. 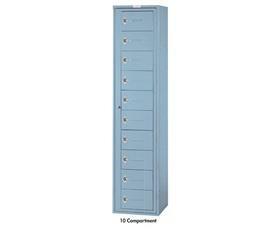 Nine-compartment lockers typically hold up to seven average size folded garments. 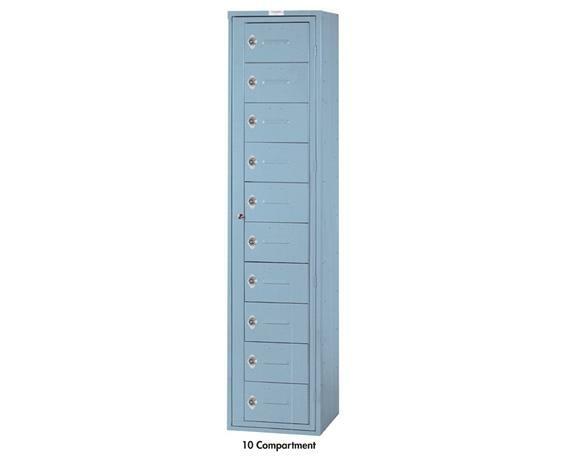 Ten and sixteen-compartment lockers, respectively, hold five and two average size folded garments or accommodate small personal items in less than two square feet of floor space. Available in Dove Gray. FOB Shipping Point. NOTE: In the interest of safety, Lyon strongly recommends that lockers be floor or wall anchored. 17-7/8 x 13-3/4 x 7-1/4"
18 x 15 x 78"18 15 78"